The Tifosi Highwire sunglasses are made of Grilamid TR-90, a homopolyamide nylon characterized by an extremely high alternative bending strength, low density, and high resistance to chemical and UV damage. The exclusive Swivelink technology adapts to any activity. With included removable sport and lifestyle arms, just swivel, switch and repeat! There’s no need to switch between multiple pairs of eyewear. It’s the complete sport optics solution for the active lifestyle. The Tifosi Highwire Matte Black with Smoke Red Lenses has many exciting features for users of all types. 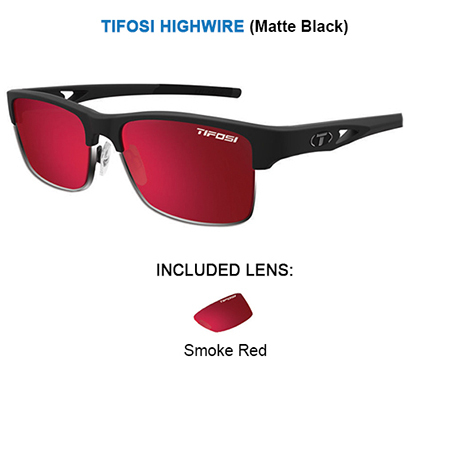 See the Tifosi Highwire Matte Black with Smoke Red Lenses gallery images above for more product views. 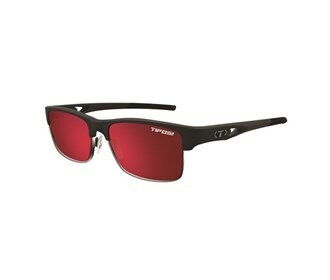 The Tifosi Highwire Matte Black with Smoke Red Lenses is sold as a Brand New Unopened Item.